About 45% of the people living in developing countries’ rural mountain areas are vulnerable to hunger, poverty, and malnutrition (Romeo, Vita, Testolin, et al 2015). Mountain regions are constrained by difficult climatic and topographic conditions, poor infrastructure, and limited access to natural resources (Messerli and Ives 1997). Agricultural productivity in mountain areas is limited, because plant growth is reduced at higher altitudes and seasonal rain and frost often allow only 1 harvest per year (Kohler et al 2014; Romeo, Vita, Manuelli, et al 2015), causing overall low dietary diversity among mountain populations (Dame and Nüsser 2011). Traditional mountain diets tend to depend heavily on starchy food, with low levels of key micronutrients, causing deficiencies among women and children in particular. Most prevalent are deficiencies in vitamin A (which negatively affects the immune system and can cause blindness) and iron (which leads to anemia, causing tiredness, weakness, reduced working capacity, and poor physical and mental development) (Bhutta et al 2008). Young children, especially those in the first 1000 days of their life, from conception until age 2, are particularly at risk of poor nutritional outcomes (Victora et al 2008; Black et al 2013). A feasible pathway toward improved nutrition is to diversify agricultural production through a sustainable ecosystem approach that improves both the quality and the quantity of food produced (UNCTAD 2013; Godfray and Garnett 2014; Tittonell 2014). Several development agencies have endorsed ecological intensification as a key component of nutrition-sensitive agriculture (NSA), which addresses both the production and the consumption dimensions of food and nutrition security by promoting the design and the implementation of sustainable farming systems to improve nutrition outcomes, especially by diversifying the range of food sources, processing methods, and marketing channels (Jaenicke and Virchow 2013). Nutrition-sensitive agriculture (NSA) at the local, national, and global levels, showing the central role of capacity development of rural service providers (RSPs). Although NSA promises to more integrally target and scale nutrition impact with a more holistic approach (Gillespie and van den Bold 2017), only limited information exists on how such an approach can be effectively designed and used in practice (Ruel et al 2018). 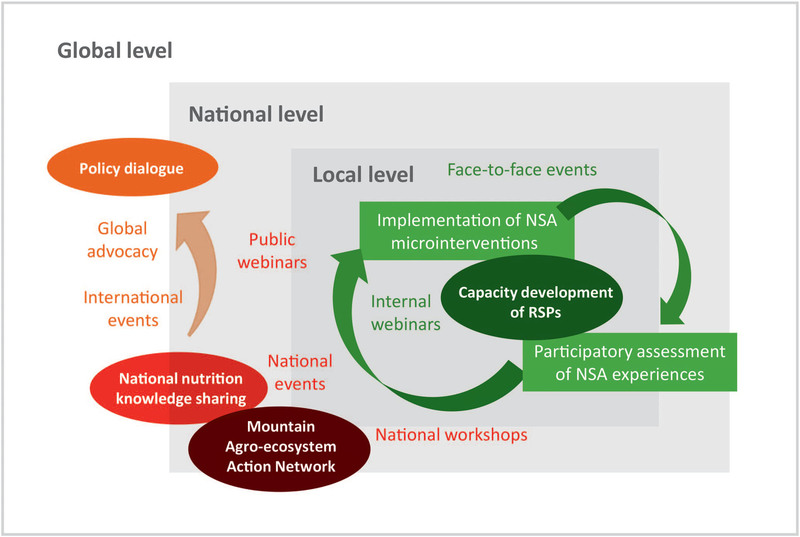 This article describes and shares lessons learned from the first phase (2015–2018) of the Nutrition in Mountain Agro-ecosystems (NMA) project, which applies the NSA approach to poor mountain regions in Asia, Africa, and Latin America. It draws conclusions that are relevant for improving, scaling up, and replicating NSA interventions. According to Ruel and Alderman (2013), progress in improving the nutritional status of vulnerable populations requires effective, large-scale, nutrition-sensitive programs that address key underlying determinants of poor nutrition outcomes. The NMA project promotes a nutrition-sensitive approach at 3 levels—local, national, and global—based on the premise that successful local interventions can inspire and drive change at the national and global levels (Figure 1). To optimize project outcomes and impact through social capital development (Joshi et al 2012; Golam et al 2017), the project engages with different stakeholders (beneficiaries, service providers, and policymakers) and encourages their interaction as a means to empower them through increased insights, skills, and networking contacts. Rural service providers (RSPs) play a critical role in the project’s bottom-up approach by implementing small local projects known as microinterventions. RSPs have different backgrounds and working conditions— most of them are employees of local nongovernmental organizations (NGOs), extension services, government authorities, or education organizations or are local entrepreneurs. What they all have in common are their interest and their role: they all use their experience, contacts, and skills to facilitate innovation in their rural communities (Snapp and Pound 2017). Effectiveness: To what extent will the project help achieve the project goal of improving nutrition, especially for women and children? Efficiency: How well will project resources and investments be used to produce the desired outcomes? Synergies: To what extent will the project engage with related actors and activities in cooperative interactions that lead to an enhanced combined effort? Sustainability: To what extent is the activity sustainable beyond the termination of the project, and how will it support the sustainable use of natural resources? Scaling-up potential: To what extent can project activities and results be replicated in other contexts? Gender and conflict sensitivity: To what extent will women and children and other vulnerable groups benefit from the project? How will it affect social cohesion and gender roles? Risk of failure: Do risk factors exist that could jeopardize the project’s success? The NMA project started in 2015 with a focus on mountain areas in 5 countries: Ethiopia, Kyrgyzstan, Nepal, Pakistan, and Peru. Local NGOs were contracted as project partners to coordinate project activities within each of the 5 target countries. Initially, their task was to set in place a competitive grant call in each country in which RSPs were invited to propose small projects for which they would serve as RSPs. Using standardized criteria (Box 1), 132 microinterventions were selected. Besides obtaining grants of around US$ 3000 to implement their microinterventions, at the level of each country, RSPs were part of a capacity-development program that included 2 or 3 face-to-face events, lasting 3 to 4 days each, and online interactions throughout the time span of around 12 months, when the microinterventions were implemented. The capacity-development program focused on topics relevant to operationalizing the NSA approach in the context of microinterventions. With the support of international project staff, all RSPs were trained in assessing dietary diversity and carrying out focus group discussions to elicit information from beneficiaries about knowledge, attitudes, and practices related to food preparation and consumption. RSPs were also trained on the use of the public online knowledge-sharing platform Mountain Agro-ecosystems Action Network ( https://maan.ifoam.bio). This platform provides NSA-related information and enables users to exchange ideas about NSA-related topics and share experiences implementing microinterventions through online discussions at both the country and the global level. Microinterventions are intended to serve 2 purposes: generate tangible benefits at the local level and serve as learning sites and showcases for NSA. Altogether, in all 5 project countries, the project expects to reach almost 10,000 direct beneficiaries, based on the calculation that each of the 132 microinterventions involves on average 15 families with an average size of 5 family members each. The microinterventions address NSA goals in a variety of ways (Table 1). Many involve productionrelated activities aimed at directly increasing the diversity and availability of food sources at the household level. Others help increase income through improved production and sales, which provides essential cash to buy complementary food that upgrades dietary diversity and thus indirectly improves nutrition. What all microinterventions have in common is that they all help create awareness of the importance of having a more diverse diet. Because microinterventions were proposed by RSPs, they drew on expertise the RSPs already had; thus, rather than promoting completely new ideas and technologies, they adapted existing ones to a new context or to a new group of beneficiaries. The degree of innovation varied substantially. 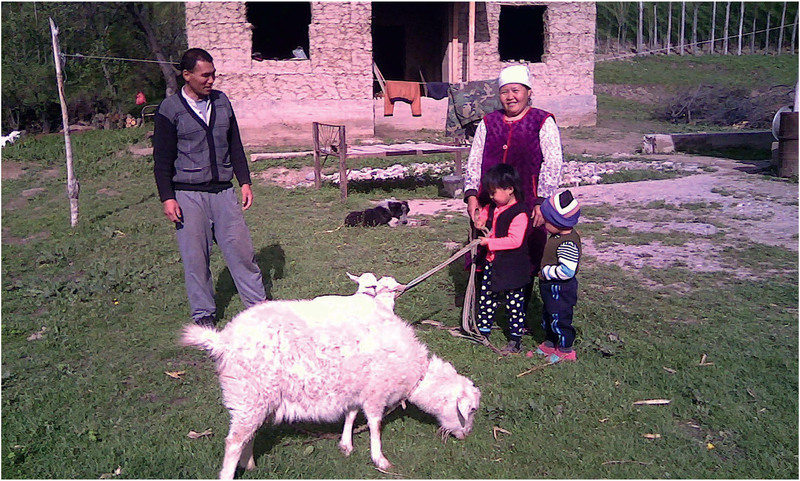 For instance, the introduction of new solar drier technology in Kyrgyzstan (Box 2) involved more innovation than the introduction of goats of the Zaanen breed to new locations (Box 3), because this type of goat is already present in other parts of the country. To respond to context-specific needs, capacity development for RSPs varied across countries. In Peru, for instance, the national partner responsible for project implementation organized mutual visits among RSPs to encourage peer learning. Training workshops in each country encouraged participants to reflect on their progress and outcomes and share insights into how to optimize NSA interventions. To improve RSPs’ communication skills, the capacity-building program included training in storytelling, which can be beneficial not only at the local level but also in national and international advocacy efforts. Experiences from the microinterventions were shared through the online platform Mountain Agro-ecosystems Action Network, where, for instance, the success story shown in Box 3 was publicized. Overview of microinterventions implemented during phase 1 (2015–2018). After receiving training from the NMA project in May 2016, Alisher Yuldashev (Figure 2), an RSP from Kyrgyzstan, conducted a survey among women in the villages of Dostuk and Japa-Saldy. The survey revealed significant nutritional deficiencies in their diets, particularly in winter, when fresh fruits and vegetables are expensive or unavailable. To help farmers dry and store their own produce, he began constructing solar dryers in late August 2016, demonstrated them, and shared information about the nutritional value of dried fruit and the vital role it can play in achieving a balanced, healthy diet. Within 4 days, 20 participants from 2 villages had built 8 solar dryers using only locally available materials. The driers proved efficient, during the initial training, at drying apples and red plums. The rays of the sun fell directly on the 5 large shelves, each with a surface area of 1.8 m2 (Figure 2). At the end of September 2016, when Alisher visited the women he had trained, some of them had already diversified their production to include dried sweet peppers, pears, and tomatoes. Because of these driers, farmers have started to plan what to sell fresh at the market and what to dry and store for use in winter. Nutritious fresh food that might otherwise have spoiled can now be preserved, in a nutrition-sensitive process, for use at times when access to fresh fruits and vegetables is difficult and diets in the past were poorly diversified. The driers have substantially improved nutrition in the farm households that operate them, as well as among their neighbors. Nurdinov (Figure 3) and some of his neighbors are beneficiaries of one of the microinterventions implemented in his country by the NMA project. “Two local service providers, Joldoshov Bolot and Rustam Holdarov, approached us and told us about the advantages of keeping milk goats. What convinced us most was the fact that goat’s milk is more nutritious than cow’s milk. It is excellent for the children and for us as a family!” Experts say that goat’s milk is easier to digest and causes fewer allergic reactions than cow’s milk. It is a good source of vitamins A and B, calcium, and iron. Given the poor nutritional status of many people in rural Kyrgyzstan, goat’s milk can make an important contribution to health, especially among growing children. RSPs were also involved in awareness-creation activities, giving them room to share their experiences in the context of several national events and 2 international conferences. Where possible, these events were implemented in collaboration with other organizations and projects with similar goals. These events helped provide a national showcase for concrete NSA achievements, particularly among national stakeholders, including policymakers. With regard to advocacy work at the global level, project representatives participated in networking activities such as high-level workshops, particularly with the Scaling Up Nutrition (SUN) Network. This network, initiated by the United Nations, comprises more than 60 countries committed to accelerating efforts to combat malnutrition using complementary measures and approaches (Gillespie et al 2015). Several steps were taken to assess the first project phase (2015–2018), aiming to derive findings that would support the planning of the second phase (2018–2021), which will primarily focus on the upscaling of the NSA approach and most promising practices. To assess changes in dietary diversity among women (ages 15–49) who participated in the microinterventions, RSPs asked them, both before and after the intervention, to list all food items they had consumed in the last 24 hours. Almost 2300 women across the 5 project countries provided this information. From their answers, Dietary Diversity Scores for Women (DDS-Ws) were calculated (FAO and FHI 2016). Based on this information, minimum DDS-Ws were calculated, defined as the proportion of women consuming at least 5 of 10 defined food groups a day (FAO 2014). The minimum DDS-W is considered a robust proxy indicator of women’s diet quality and micronutrient adequacy; in other words, women who consume at least 5 of 10 food groups have a greater likelihood of meeting their micronutrient needs than women who do not (Arimond et al 2010). The time between the baseline and the endline surveys in the different countries varied between 12 and 14 months to ensure that interviews were held in the same season of the year. In each country, 400 to 500 women participated in the baseline and endline surveys. Given that there were 20–30 microinterventions per country, the number of women in a single microintervention (12–15) was too small to derive statistically sound conclusions about changes at that level. In each microintervention, the RSPs conducted focus group discussions with project beneficiaries to discuss the findings of the 24-hour dietary survey and obtain an indepth understanding of nutrition behavior at the household level—including how gender dynamics affect household decision-making about production, purchasing, and consumption. Because focus group research was carried out by those RSPs that implemented the microinterventions, the learnings were kept within the project. Yet this approach may have affected the impartiality of respondents’ answers. Toward the end of 2017, an internal project evaluation took place to reflect on the achievements and shortcomings of the first project phase. Horizontal evaluation (Thiele et al 2006) was used as a reference methodology to foster peer and cross-country learning. The evaluation was led by a person who was not directly involved in the project’s first phase but had been commissioned to lead the project’s second phase. Insights gained from this evaluation were then used to plan the project’s next phase. The evaluation consisted of a review of project documents, interviews with project stakeholders, and field visits to Peru and Ethiopia. Project partners from Kyrgyzstan participated in the visit to Peru, and project partners from Nepal and Pakistan participated in the visit to Ethiopia. Higher endline than baseline DDS-Ws in all countries (Figure 4), with statistically significant differences in Ethiopia, Pakistan, and Peru (using paired t-tests with 0.05 as a cutoff), suggest that the NSA microinterventions positively influenced dietary diversity. Information from focus group discussions and RSPs was collected to better understand what factors contributed to increasing dietary diversity at the community level. Focus group results confirmed that participants’ appreciation of dietary diversity has increased and that microinterventions were the driver of this change. The emphasis on the importance of a more diverse diet has led to small but significant behavioral changes, especially the addition of small amounts of affordable fruits, vegetables, and fish to the daily diet. This change was produced partly by the improved production practices promoted by the microinterventions but mostly by changed priorities in food purchasing and consumption. In some cases, shifts in decision-making were also reported. In Pakistan, for instance, participants mentioned that although men still purchased the food for their families, women, and even in some cases children, were now more involved in discussions about what is purchased and consumed. In Kyrgyzstan and Peru, focus group discussions revealed the importance of the project’s awareness-creation activities in counteracting the increasing popularity of junk food. Average baseline and endline Dietary Diversity Scores for Women (WDDS) for 10 food groups. The project’s phase 1 evaluation revealed that project beneficiaries, RSPs, and country partners considered the project’s NSA approach highly valuable for helping create awareness of the importance of nutrition diversity and for demonstrating how this approach can be used to directly and tangibly benefit the most vulnerable people in remote areas, namely, women and children. The project’s emphasis on working with and through RSPs, who are well established and trusted in their communities, has enabled the project to efficiently target remote mountain areas, which are otherwise difficult to reach. As is an indication of success, a number of microinterventions have already been replicated—for instance, school gardening in Nepal, tunnel farming in Pakistan, solar dryers in Kyrgyzstan, mushroom farming in Ethiopia, and guinea pig raising in Peru. Neighboring families and communities have been eager to adopt and invest in these practices. The tangible improvements in dietary diversity among direct beneficiaries indicate that important behavioral change has taken place because of the project’s messaging. This is supported by the literature, which highlights that behavior change is more likely to happen when focusing on a clear message endorsed by relevant change agents (Gillespie et al 2015). Despite this progress, endline survey findings indicate that year-round access to vitamin-rich food sources remains a challenge in most places given the pronounced seasonality of vegetable and fruit production in mountain regions. Because the NSA approach was new to all 5 project countries, the project’s experience has served as a good example of how government programs and local authorities can effectively include nutrition objectives in agriculture and other policies for rural areas. In all project countries, the ministry of health deals with nutrition-related issues, while the ministry of agriculture focuses on improving agricultural production. The project’s interventions help showcase ways that these 2 worlds can be brought together pragmatically with a people-centered approach that focuses on the development of human and social capital at the local, national, and international levels. The same division between agriculture and nutrition tends to exist among RSPs. Most RSPs with an agricultural background have a rather limited understanding of nutrition, while in general, nutritionists and health experts lack important knowledge about agriculture. RSPs involved in the project confirmed that the mutual learning among diverse RSPs promoted by project activities has been highly valuable in building their capacity to grasp and promote the NSA approach in their own work. Based on the evaluation of the project’s first phase, the following conclusions can be drawn on how to upgrade and upscale the NSA approach. To gain strength in showcasing and replicating NSA interventions within and beyond the current target countries, more systemic and integrated interventions will be needed. These should include both production-related and awareness-creation activities to promote improved food production and consumption choices at the household and community levels (Ruel et al 2018). These slightly larger microinterventions should be implemented jointly by different local RSPs that have complementary skills and networks. To positively influence local policymaking, involved RSPs should collaborate closely with local and regional institutions and authorities. These more systemic and integrated NSA interventions can help clarify how to effectively put into practice the right mix of actions to improve nutritional status in varying contexts—knowledge that is generally lacking (Gillespie et al 2015). 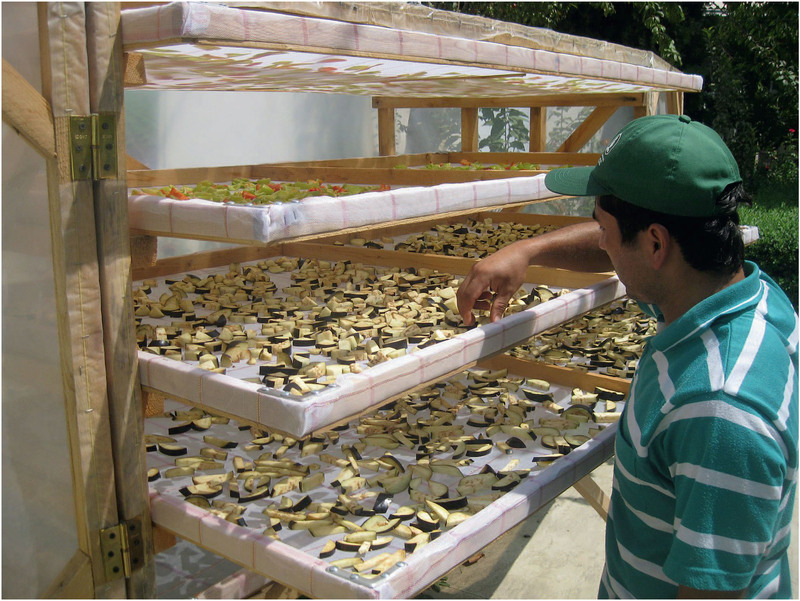 In addition, they can provide deeper insight into how production- and consumption-oriented interventions can best complement each other to reduce seasonal fluctuations in food and nutrient availability and how gender aspects can be taken into account to improve decision-making at the household level with regard to what food is produced, purchased, cooked, and eaten and by whom (Briones Alonso 2015). This understanding will be key to better substantiating the context- and technology specific nutrition effects of different NSA interventions (Ruel et al 2018). Through project activities, dozens of RSPs have been empowered to facilitate NSA interventions at the local level. They have become important change agents who can engage efficiently with their communities while highlighting the importance of nutrition and promoting best practices (Fanzo et al 2015). To scale up the NSA approach, RSPs with good skill sets and in a position to reach out to other stakeholders should be empowered to advocate for the NSA approach and influence NSA policy discussions at the national and international levels. To this purpose, the knowledge-sharing platform Mountain Agro-ecosystems Action Network ( https://maan.ifoam.bio) is of strategic importance, allowing participants to gain visibility and develop leadership skills by facilitating discussions and acting as influencers. The active sharing of information through this platform will essentially enhance learning and networking—both contributing to enhance innovation capacity, which is key to the successful scaling up of the NSA approach (McDermott et al 2013). Project partner organizations in all 5 countries are in close contact with government staff in their countries who act as focal points for the SUN Network. All these government representatives have expressed their appreciation for the project, especially for its emphasis on mountain contexts, respectively, on how nutrition outcomes can be improved in rural highland areas. Overall, SUN representatives agree that the policy environment is favorable to promote a broader use of the NSA approach. With sound advocacy work by the project, local and national governments could be convinced to increasingly endorse the NSA approach as part of their own agenda and integrate NSA interventions in existing sectoral government programs. However, a wider use of the NSA approach will imply closer collaboration among government institutions, the private sector, and civil society at multiple levels, with the advantage of entailing better contributions to the United Nations Sustainable Development Goals in general and to Goal 2, zero hunger, in particular (Canavan et al 2016). Moreover, the NSA approach is likely to stimulate the climate change debate—which is particularly urgent for mountain communities. Because of its more integrated and participatory nature compared with sectoral approaches, the NSA approach is more likely to derive sound measures to cope with climate change (Wheeler 2017). We are thankful to the Swiss Agency for Development and Cooperation for financial support for this project and for providing a contact person, Ms Marlene Heeb who has been highly supportive in shaping this project. The authors also acknowledge and appreciate the important work that project partners have been conducting in all 5 project countries to date: Nepal— Helvetas Swiss Intercooperation: Ms Soma Rana and Mr Alok Shrestha; Pakistan—Helvetas Pakistan: Ms Arjumand Nizami and Ms Shazia Hina; Kyrgyzstan—BioService Foundation: Ms Gulzada Kudaiberdieva; Rural Advisory Services Jalalabat: Ms Mahabat Karaeva; Federation on Organic Development Bio.KG: Mr Iskender Aidaraliev; Ethiopia—Institute for Sustainable Development: Ms Sue Edwards, Mr Gizaw Gebremariam, and Mr Alemayehu Ayalew; Peru—IFOAM–Organics International: Ms Patricia Flores and Mr Luis Antonio Ravello.